These last few weeks have been brutal for Twins fans. It is not easy to sit in your seat and watch a game in your Sorel boots and parka when it is 30 degrees or colder. Along with many other fans, I opted to watch from under the heat lamps. The bonus of making this move was that I was closer to all the food and beer stands. What I love about the new Twins Stadium is that they keep adding more and more local foods and beer. If I am coming to a game I want to be able to eat some really wonderful food. I did just that last night. 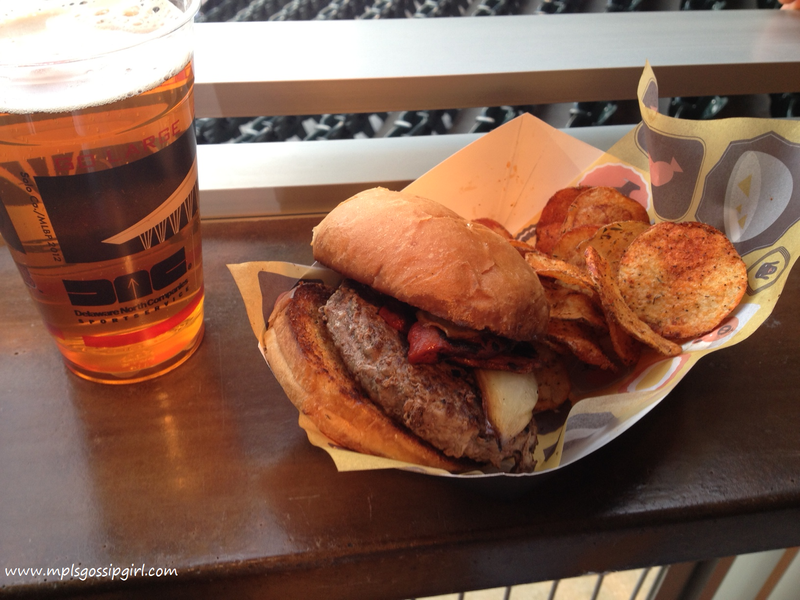 Although, I was not able to try every new food at the stadium, I did get to try the new burger from AZ Canteen. A company started by local foodie/chef/TV star Andrew Zimmern, this stand serves a lamb and goat burger that has been deemed by many to be the best new food in the ballpark. I cannot agree more. AZ Canteen in Section 130 serves a food item with flavor. This burger was made right in front of me and topped with roasted tomatoes and onions. At $13.00 this burger is expensive and in my view is worth it. It comes with seasoned chips, is big enough for a meal and best when paired with an IPA. 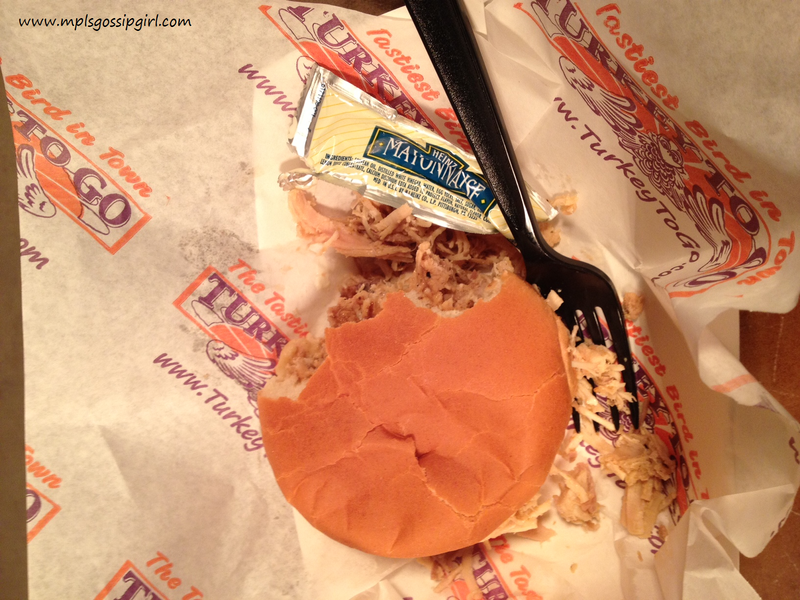 Another favorite of mine is Turkey to Go found in multiple sections. At only $7.50 for a sandwich it is a steal. The turkey is always moist (I hate that word, but it is true) and you can top the sandwich with sweet and sassy BBQ sauce. I had to get a huge hat full of nachos after watching people walking around with one. 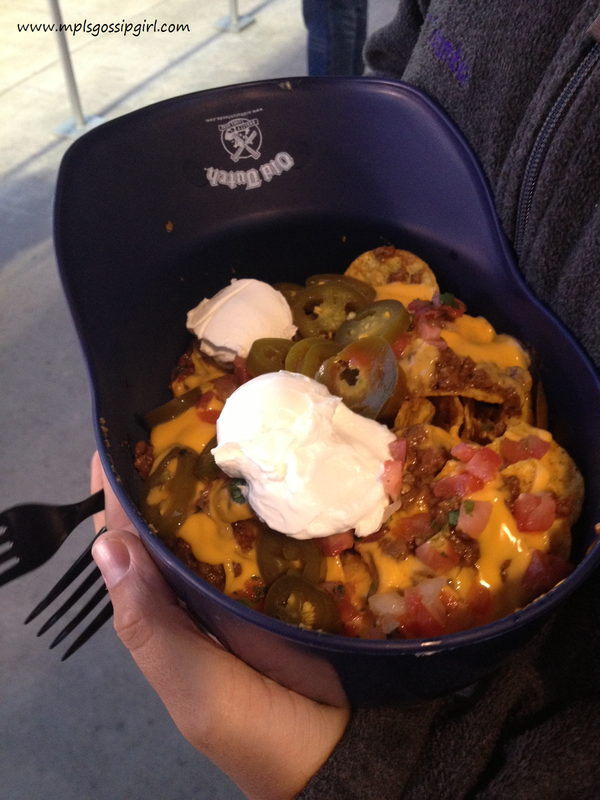 The hat is filled with taco chips, nacho cheese, beef, tomatoes, onions, jalapenos, and sour cream.They equip you with forks to get the job done. Not in the least bit healthy but tons of fun. 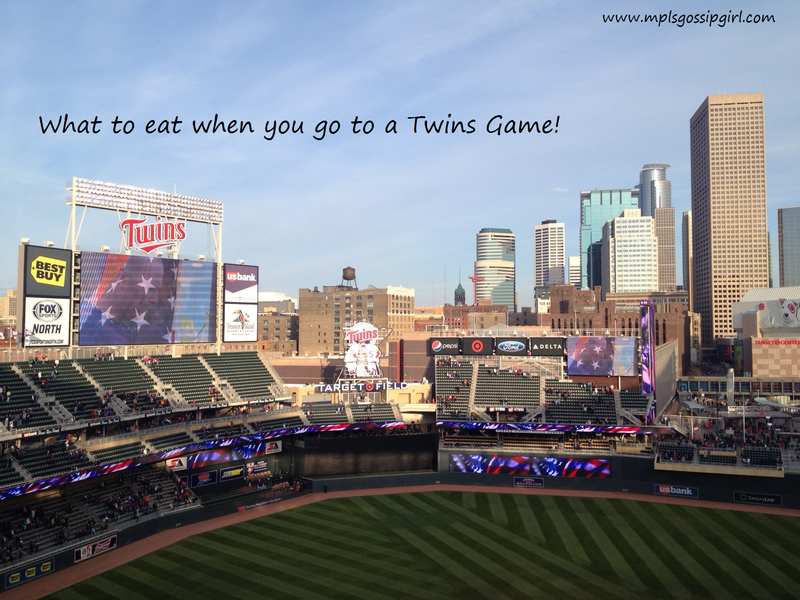 I hope that the Twins keep adding more local food and beer each year because it makes coming to a game also a great place to have a meal. Ah I miss Twins games! and I’m dying to try the new burger from AZ Canteen next time I’m in town for a game. Looks amazing! You have to try it! It really is fantastic. Been a while since I’ve seen, but I think the burger in the truck costs a little less actually (not surprising, they have other options to sell and don’t have to worry about the many almost-psychotic fees of having a stand in Target Stadium), and the other food items are awesome too! God I wanna go again soon… they finally got back to Minnesota after their Winter trip South. And that nacho hat is hilariously fun! Doesn’t surprise me to see the stadium do something like that. Good to see stadium-goers have fun, tasty options. Check stub hub at the last minute especially for weekday games. You can get really nice tickets for fairly cheap, especially if it looks like bad weather. Hoping for more local options next year. It took me awhile to find some better beer stands since I refuse to drink Bud Light and others like that. Also not very many options in the upper deck. Good onya, and me too; no one should have to suffer through only Bud, Coors, etc… Just like our Food Trucks, our beer and brewery scene is expanding about as rapidly, and they really do deserve the representation. It’ll be interesting to see what else they get next year too (how much you wanna bet Smack Shack muscles in a stand?). I would love a Smack Shack stand! That would be awesome! It would be great if Target Field would really make the effort to get many more for next year. Here’s to crossing my fingers. Great reviews, especially on the goat & lamb burger which I was hesitant about but will now have to sample. I have to add that the New Mac’s Fish & Chips is easily the best fish fry found anywhere, in or out of a stadium. Seriously, this place’s quality is amazing and is a can’t-miss meal…talk about perfect with a pint!